Little girls like camo too! 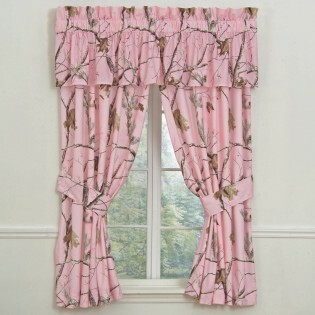 And this pretty in pink camo drape and valance will add that feminine touch to your new baby's rustic nursery. Made of cotton/poly blend percale in the USA. 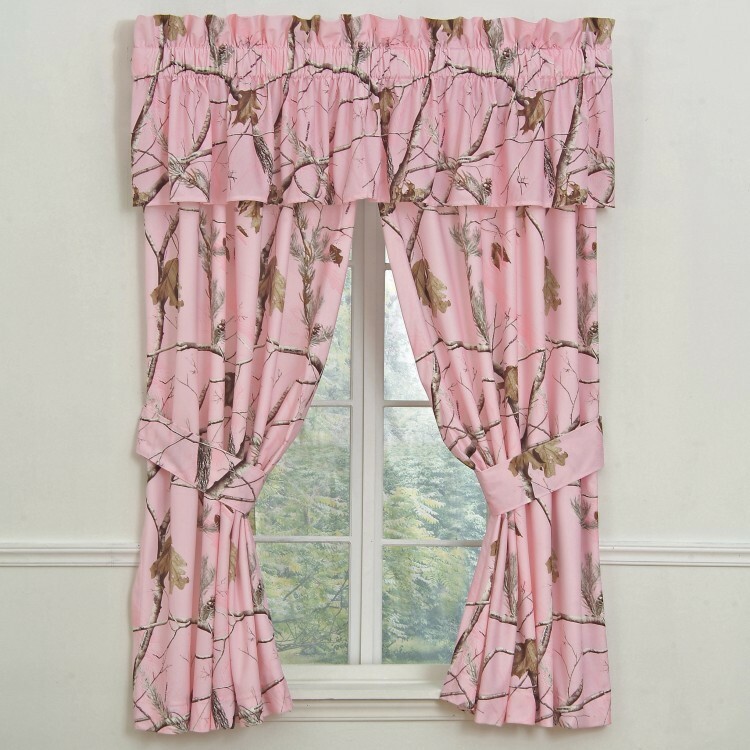 These camouflage drapes measures 63"L and each panel is 42"W and has a 3" rod pocket. 1 pair of tie backs are included. Valance measures 88"W x 18"L and has a 3" rod pocket.